I am sure by now you have heard of the Lumber Liquidators laminate flooring concerns. I first heard about it on 60 Minutes. Of course, this was after our new Lumber Liquidators flooring was installed. Can I just tell you that my heart sank as I watched 60 minutes showing the exact same flooring I just had installed. They were listing which laminate flooring made in China had the highest amount of cancer causing Formaldehyde, and of course ours was at the top of the list. now this because I have had severe rashes within 6 hours of wearing the shoes. It was so bad that I contacted Keds and they actually told me it was the formaldehyde in the glue. Who knew? So here I am, a health coach for the Healthy Chocolate Company promoting healthy options for people by making the choice to “Change Your Chocolate”. And now, I have what I consider to be unsafe horrible flooring in my home. It makes me so very sad. This new floor that I consider unsafe looks beautiful. 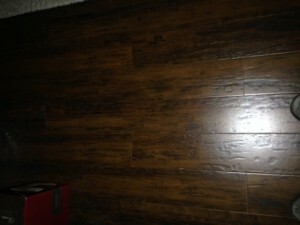 I have now picked out tile plank flooring that looks like wood and is very similar to what I have. The Lumber Liquidators flooring will have to be torn out, our built in closet organizers will have to be taken apart and it will take some time for all of this and the installation of the new tile. The sad thing is that I am now paying for two floors for the same space in a matter of months. I feel like I was defrauded. We spent three trips going to Lumber Liquidators in Sarasota and Fort Myers. They had the best price by far but we did not go with a cheap floor by any means. I thought I was getting a good, safe, dependable floor. I actually believed the commercials. Gullible. Yep, that is how I feel. I pray that you are not in the same boat with us and you have not purchased China laminate flooring from Lumber Liquidators. I heard they are not selling it now and are even selling tile planks like we just purchased at Tile Outlets Of America. I heard there is talk of a class action lawsuit. Not really sure what we are doing but at this point we need to keep our family safe. store. Know there is more to chocolate than just being 70% cacao. How the chocolate is processed matters. When it is heated at high temperatures so it is smooth and not bitter, it unfortunately loses a significant amount of the antioxidants and flavonoids in the raw cacao. This is why it is so important to purchase cold pressed chocolate. Beyond the healthy chocolate company uses a patented cold press technology that maintains the antioxidants in the raw cacao. This is huge. Most of us don’t eat 8-10 servings of fruits and vegetables every day but we could easily eat 3 little pieces of chocolate. And guess what? This stuff is not fattening like the candy chocolate you crave. Crave the good stuff. One Beyond power square is just 33 calories each. 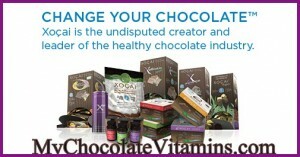 Contact me if you want details at 941-216-5727 or visit my site at MyChocolateVitamins.com. Yes, I earn money when you purchase. Just think if you order I can put it towards the cost of my floor. 🙂 Oh yeah, and stay away from Laminate Flooring from China until they get it worked out. Here where I live in Florida, people are even afraid to buy a home with laminate not knowing where it is from. Of course we have had the Chinese Drywall issue here in Southwest Florida so maybe people are jumping the gun. Who knows. Either way, live and learn and trust your gut.